The hits just keep on coming from Kawasaki. The Ninja H2 is already a bonkers bike with even more horsepower than before, as if it needed it. 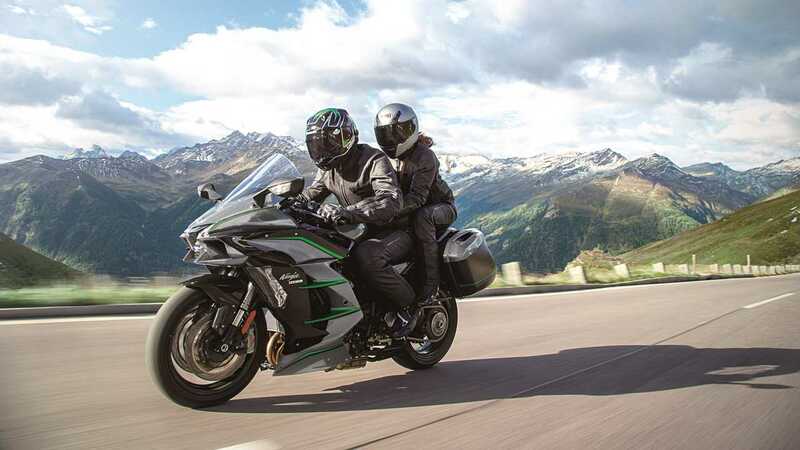 At EICMA, Kawasaki introduced the Ninja H2 SX SE+, which adds some features to help keep its incredible supercharged horsepower under better control. The SX SE+ gains, in addition to more characters in its name, a significant suspension upgrade with a 43 mm inverted Showa cartridge front fork and a BFRC lite rear shock. Both of these use Kawasaki's Electronic Control Suspension, allowing the rider to adjust it on the fly. 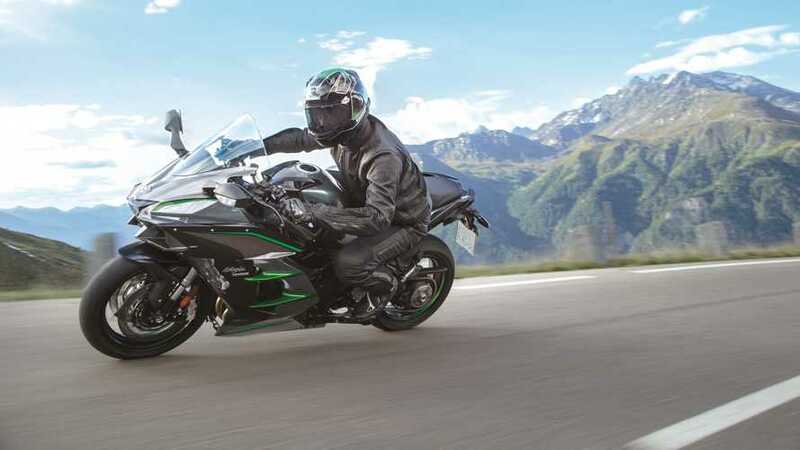 This is the same rear suspension used on the Ninja ZX-10R, and now the and the Versys 1000 SE LT+, except it also features electronically adjustable preload. All that go needs a lot of whoa, so the SX SE+ gets the same Brembo Stylema front calipers.and 320 mm semi-floating discs as the MV Agusta Brutale Serie Oro. New riding modes are available as well, which now set the suspension as well as traction control and engine power according to the mode you select. The Road setting is for everyday use. The Sport setting stiffens things up and makes the ride more aggressive for attacking the twisties. The Rain setting dials it all back a bit so you don't overcook it in the wet. There's also a Manual mode that lets you change all of these settings yourself. The H2 SX SE+ also has more durable paint and smartphone connectivity, but who cares about that when you're going 200+ miles per hour (safely on the track, of course, never on the street). For an even $25,000, the extra control features the SX SE+ provides over the standard SX model seem very much worth it, especially when exploring the realm of triple-digit speeds that the H2 achieves so effortlessly.